Developed with leading plastic surgeons, Your Skin But Better CC+ Cream With SPF 50+ is your best-selling, award-winning, multitasking beauty miracle. Enter below for a chance to win one of the 1,000 CC+ Creams. ENTER to Win IT Cosmetics! Did you know that Amazon offers a month of Amazon Music Unlimited? It’s totally FREE! May as well take advantage of the free month. Of course this is a subscription so it will re-bill each month at $7.99. If you don’t want it to bill you be sure to cancel before the 30 days are over (Tip: mark the calendar in your smart phone). Of course if you love the service you’d do nothing and it will re-bill at only $7.99 a month if your a Prime member. Personally I use this service and I’m very please with the selection of music! I have an Amazon Echo in a few of the rooms in my house and it’s so convenient to say, “Alexa, play _______” (what ever song or type of music I want to hear) and it just starts playing. So if you own an Amazon Echo, Amazon Dot or Amazon Tap this service is even more cool! CLICK HERE to get a free month of Amazon Music Unlimited! Looking for some entertainment? Fun for adults and kids. Pie Face is on Sale! Are you planning a party or just looking for some entertainment with your kids. Heck, you don’t even have to be kids to enjoy this! Right now you can score this 2 person Pie Face game for only $18 on sale! You can find the link OVER HERE! It’s sure to have everyone in your house laughing! *HOT DEAL* Lip Monthly Box only $5 !! Full Size Lip Products! I just discovered Lip Monthly, a monthly subscription service for amazing lip products. Every month you’ll get a uniquely themed box of 4-5 items from awesome brands such as Stila, Revlon, Glam Natural, Appeal Cosmetics, and much more. Plus, you’ll be able to customize your own colors. It’s so much fun getting beauty goodies in the mail! I love it so I thought I’d share! Right now you can score your first Lip Monthly box for only $5 !!! This is a subscription service so you’ll have to remember to cancel if you don’t want to be billed the following month but of course if you love it do nothing. It’s only $10 a month with free shipping. Join today using coupon code: LIPS10 to get your first bag for 50% off! 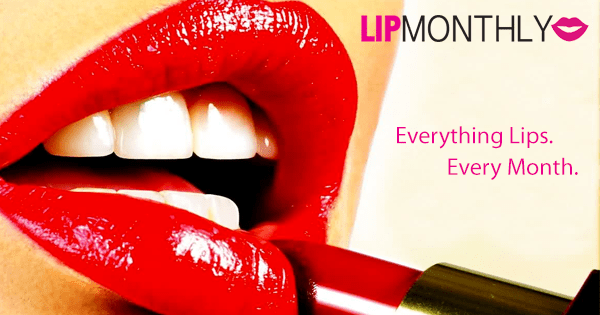 Lip Monthly is an affordable monthly subscription for all LIP LOVERS! LipMonthly helps you discover the best lip products on the market. Every month they’ll send you a unique box straight to your door and help you discover the best of Lip Glosses, Lip Sticks, Lip Balms, Lip Stains and much more. They’ve partnered with brands all around the world. 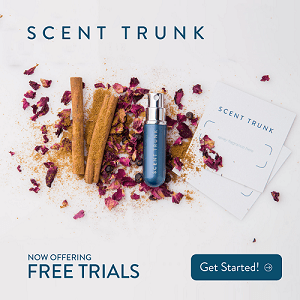 Each month, you’ll get a unique box with a variety of 2-3 full sized products, and 2-3 sample products. Join now at Lip Monthly! Did you know? 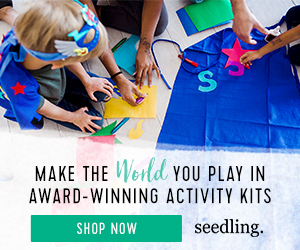 Seedling offers a large selection of party favors, which are very popular for birthday parties, slumber parties, family reunions, etc… And the great news: these party favors are on sale from 2/16 through 2/20. Enjoy up to 50% off! Birthday Party Favor Sale – Up to 50% off! CLICK HERE To take advantage of this super deal! You can score a Lip Monthly Box only $5 !! Join today using COUPON CODE ’50OFF’ to get your first bag for 50% off! Hurry and head over to Amazon to snag this really cute Young Chef’s Cookware Set for only $7.01 (regular price $23.99)! This is the lowest price I’ve ever seen for this toy! Personally I love to buy toys when they are deeply discounted and I keep them in the closet so I have something on hand when my little girl is invited to a birthday party or maybe I need a gift for something. Note: this is an add on item which means it will ship when you reach $25 in your cart. You can add more than one to your cart or purchase other items to reach the $25 mark. CLICK HERE to take advantage of this offer. I just discovered Lip Monthly, a monthly subscription service for amazing lip products. Every month you’ll get a uniquely themed bag of 4-5 items from awesome brands such as Stila, Revlon, Glam Natural, Appeal Cosmetics, and much more. Plus, you’ll be able to customize your own colors. It’s so much fun getting beauty goodies in the mail! I love it so I thought I’d share!